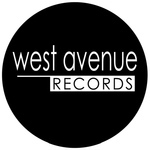 Sign up for Broadjam today to follow WEST AVENUE RECORDS, and be notified when they upload new stuff or update their news! © 2008 Kidnap Music (BMI)/West Avenue Records, LLC All Rights Reserved. Used by Permission.